Face-Off: Better Holy Grail movie? Top Rated Movies #194 | See the Top Rated Movies as rated by our users. When a killer shark unleashes chaos on a beach community, it's up to a local sheriff, a marine biologist, and an old seafarer to hunt the beast down. A scene with three shepherds in the beginning of the film. A scene featuring the Peoples Front of Judea breaking into Pilate's wife's bedroom, only to be defeated by her strength. A scene introducing us and Brian to the suicide squad, led by King Otto (Idle). A scene showing Judith releasing doves that fly out over Nazareth, and that are spotted by Otto and interpreted as "the sign that is the sign". He sends his troops into town. A very brief scene showing Judith watching Brian carrying his cross through the streets, then she is attacked by a salesman who wants her to haggle. She leaves. 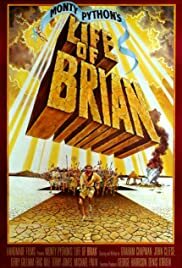 In Life of Brian, Python created what John Cleese called simply "our masterpiece". As a piece of writing, it is the most impressive of the three feature length Python movies. The scenes remain episodic, but there is a much more coherent narrative than in the earlier Holy Grail  I loved HG too, but for different reasons. The characters (well about one or two of the characters) have acquired some subtle shading, which is rare in comedy and, alas, rare in British comedy in particular. The plight of Chapman's Brian is one that I really cared about (although his death is also extremely funny, upbeat and one of the truly iconic moments in British cinema). etc). In short, something for everyone  except, perhaps, committed Christians. A lot of attention has been paid to whether LoB is blasphemous. The Pythons claim not and I'm not sufficiently religious to care very much. On the surface, I disagree. 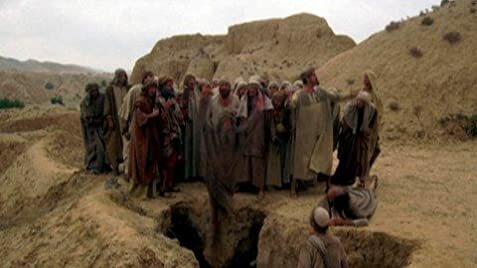 There are also occasional sideswipes at ancient Jewish custom  although, to be fair, only stoning which, if you'll pardon the pun, might be considered a fair target. Jesus is not criticised, but the film's central message seems to be; be in the right place at the right time and even a man called Brian can become God. Almost the last line is from Eric Idle saying; "you come from nothing and go back to nothing" which doesn't suggest that the man on the mount at the beginning is a divinity, no matter whether he's talking sense or not. so, if she weighs the same as a duck, she must be made of wood, and therefore - a witch". I guess LoB attracted attention because the satire had never been so bold or obvious before. This is also what makes LoB such an incredibly funny film to watch; but put it this way  despite what Rowan Atkinson may have once said  I'd be very surprised if the Python's weren't expecting the Spanish Inquisition. That shouldn't put you off, though. Unless your faith is too weak to survive Python's gentle humanism, watch this movie  you'll probably love it. 186 of 255 people found this review helpful. Was this review helpful to you?